To give you a good overview, you’ll find the different types of UTX below. 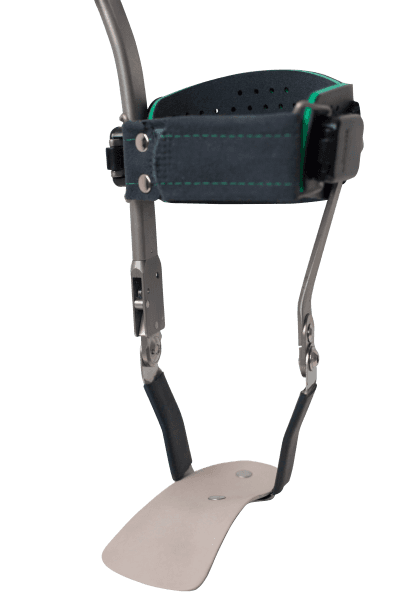 In addition, we first discuss the various possibilities the leg orthosis line has in stabilizing your knee in the sagittal plane, with other words: in flexion or extension (bending or stretching). Then we focus on the possibilities for stabilizing the knee in just the frontal plane (valgus or varus). Finally, we look at the various possibilities for the stabilization of the ankle and foot. The UTX EZ. This KAFO only has an ankle hinge on the outside of the leg. 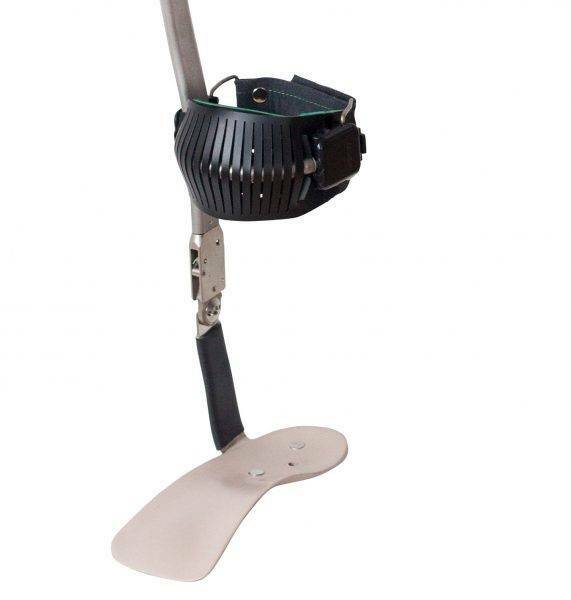 Through a strong but flexible ankle strip, foot support is attached to the UTX.